In context, these words have been carefully chosen by an author to express some lofty ideal. Yet, to that student who is looking for any way to make the class more entertaining, these words can mean something else entirely. 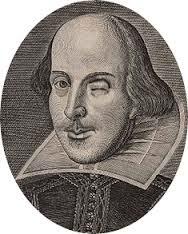 No author has been more successful in creating linguistic traps than Shakespeare. There are the overt references, such as Lady Macbeth’s startling announcement to “Unsex me here..!” (I.5) in preparation to assassinate the visiting King Duncan. There are the more subtle problems with the “hoary-headed frosts” in Midsummer Night’s Dream, but Romeo and Juliet offers the most opportunity for student sniggering. “Is Shakespeare always this dirty?” I see the quizzical looks on their faces. The Bard does not have a monopoly on creating awkward moments with language in class. Students are capable of creating discomfort, intentionally or not. Years ago, I taught an Animal Farm unit and delivered a lesson on George Orwell’s characters and their historical counterparts. I explained that Napoleon was Stalin, the dogs were his secret police, and Snowball was Trotsky. I mentioned in passing that Trotsky was considered an insurrectionist, and I paused to let the information sink in. Instead I heard the distinct sound of giggling from several of the boys in the back of the room. “What is so funny?”I demanded. I should have stopped there, but I moved in to clarify. “When… it… goes down?” blurted out one of the offenders. That explanation was drowned out with guffaws. Did I mention that a very good sense of humor is needed in with sophomores? This past fall, I had posted charts around the rooms with questions associated with Oliver Twist. As the students moved around the room I noticed students giggling when they got to one of the charts. “Why would someone lie?” was the heading on the chart. “To get laid,” was scribbled in small print. That print belonged to Mitch. Mitch who stood all of 4’2″ and was 90 lbs, soaking wet. Everyone had seen it, so I needed to address the problem quickly. I had to admit he was using logic…to say nothing of his confidence. He still erased the comment. Oh, Jane. That’s going to definitely cause a stir!